Hello beautiful! 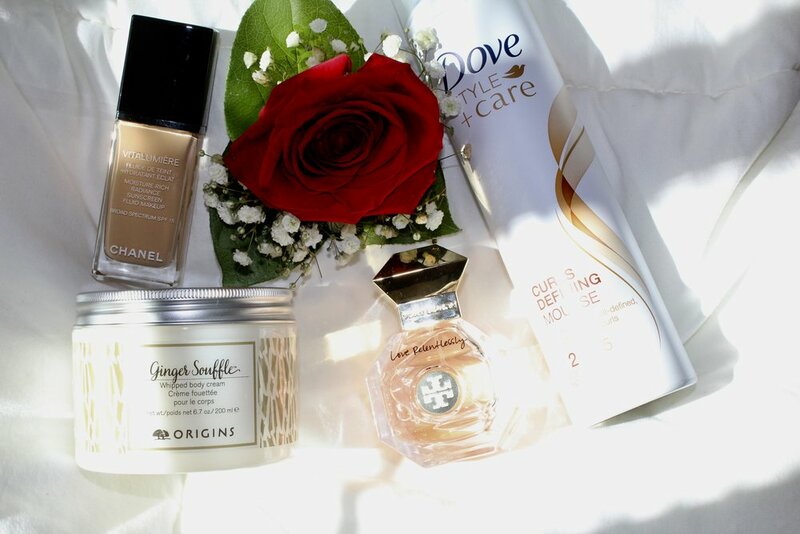 Over the past few weeks I have found myself committing to four beauty products that work well with my hair, skin and lifestyle. I’m excited to share my reflections on why they work for me and a few personal notes to consider. Let’s get started! I have sensitive, combination skin which means that finding the right foundation is essential for coverage and all-day wear, but difficult. Just to give you a little bit of perspective, before I apply anything on my face, it is dry and sensitive. But by the end of the day, whether I applied moisturizer or not, my face is excessively oily. So I tend to aim for foundations that provide light-medium coverage, are somewhat creamy, and has sunscreen. Basically, the all-in-one and the CHANEL Vitalumiere ticks all my boxes! It’s a smooth, fluid foundation with SPF 15 that provides the hydration and coverage I need without irritating my skin. Although my face still gets oily throughout the day (I’ve come to terms with this by carrying oil absorbing sheets), I would rather wear something that is moisturizing and natural-looking than drying. I was introduced to this whipped body cream by one of my favorite YouTubers, Annie Jaffery. It was one of her beauty favorites that she announced on her Instagram stories. Let me just say that I have had my fair share of failed “celebrity/influencer” sponsored purchases because I buy something with the “if it works for her it will work for me” mindset. Don’t! Always find a way to test the product your favorite influencer is promoting before buying it. I say this because the ORIGINS Ginger Souffle has a pungent ginger scent perfect for the ginger lover. Not so great for the ginger non-lover. I love that it’s “whipped” making it a great lightweight cream perfect for the summer. Plus it lasts all day! However, if you are looking for a thicker consistency for the winter season I would recommend the regular body cream. I have naturally curly/wavy hair so I look for products that will enhance my curls so that I’ll feel good embracing them. I prefer mousse over gel and hairspray so it’s important that I find the right one. Before I discovered Dove’s Curl Defining Mousse I was wearing a different brand that had more cons (made my hair crunchy, greasy roots the next day, oddly made my head smell bad) than pros (lightweight and smelled good). Dove, on the other hand, is different. The mousse is a thicker consistency than what I’m used to and that’s because it’s moisturizing, feels like a leave-in conditioner, and it holds the curl just enough to make it “touchable.” It also smells AH-MAZING and it makes my next day hair look less like a bird’s nest. Total shock! When I purchase this product again I’ll probably get the #3 hold just because I like my curls on the tighter side. I’m a picky person when it comes to perfumes. That’s because my nose and eyes are sensitive to certain scents resulting to light headaches. I also don’t wear perfume often so the few (two) perfumes that I do own are my go-to favorites. The scents that I gravitate towards have warm, playful notes of rose and jasmine making them perfect for winter. I have been really enjoying Love Relentlessly and will continue to wear it throughout the year. What are your current beauty favorites? Do we share any similarities?